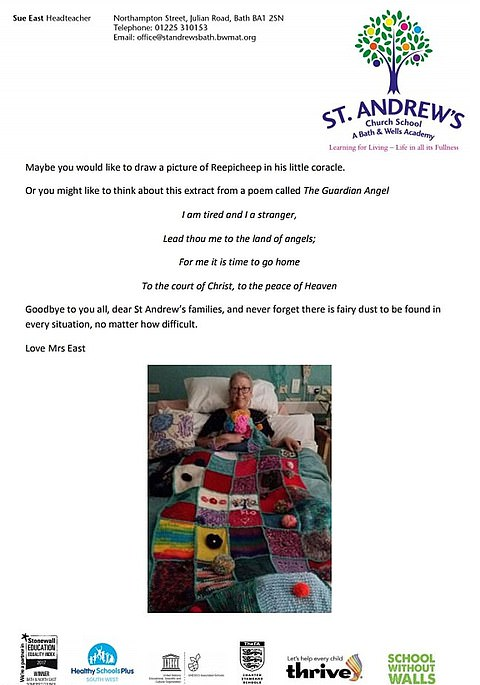 A primary school head who battle from cancer and wrote a farewell letter to pupils has been laid to rest in a coffin covered with the pupils art work. Before she died, she wrote a final letter to her pupils, telling them she was going to die soon and thanking them for the happy memories with them. Sue East, 58 died on December 19, 2018, she was popular figure at her school because of her friendly and positive attitude in life even after diagnosed with cancer. At the end of her letter she wrote, "Never forget there is fairy dust to be found in every situation, no matter how difficult". His youngest son Josiah joke on his funeral saying his mother would have thought him for writing a speech for her funeral and not focusing on his dissertation. "She led by example. She raised three children whist working full time. 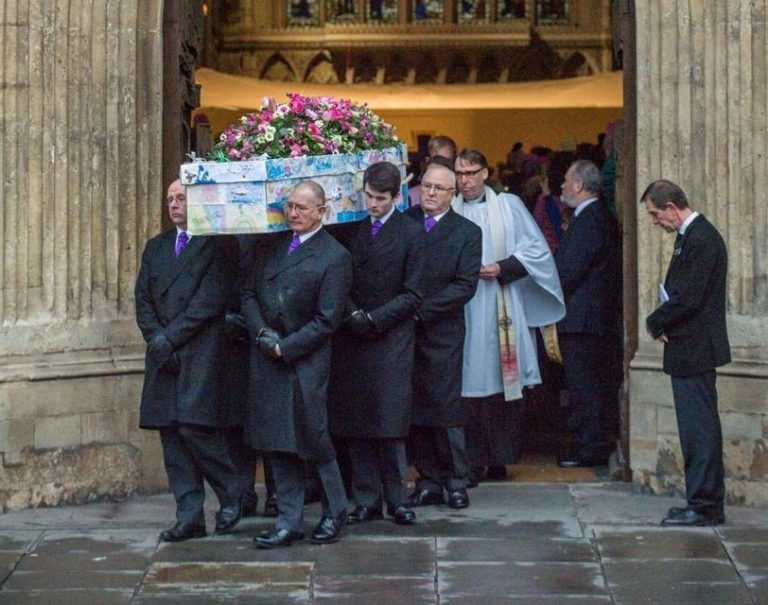 "She taught me how to live life and accept death," he told. 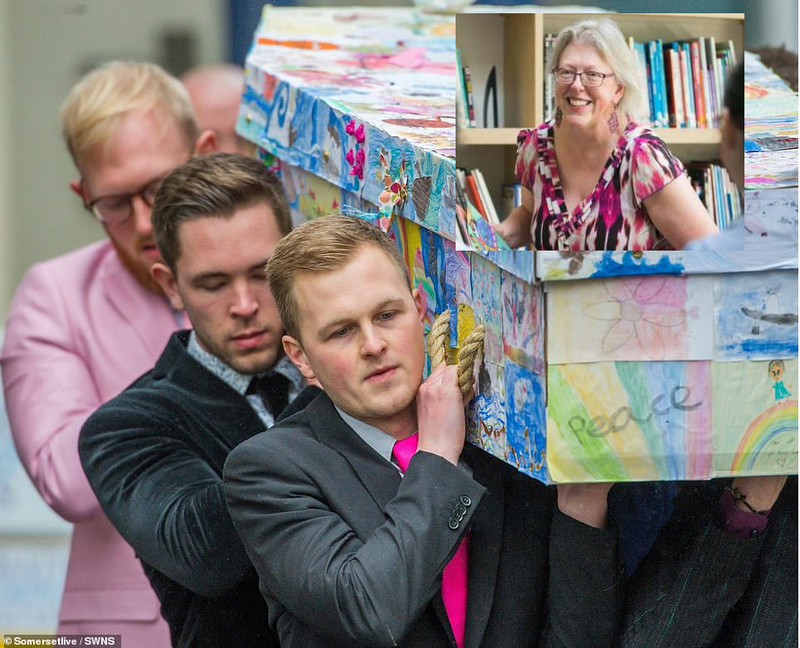 As tribute to a jolly and the best teacher as the pupils described, they created a drawings that were stick all over the coffin turning out a gallery of artwork. 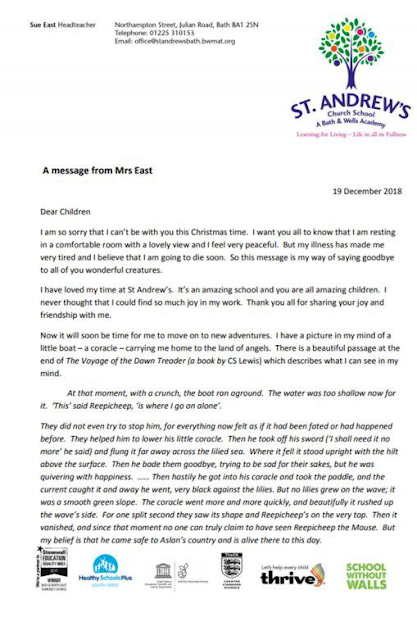 Her letter to the schoolchildren had gone viral which moved everybody's heart by the words she shared to her pupils.